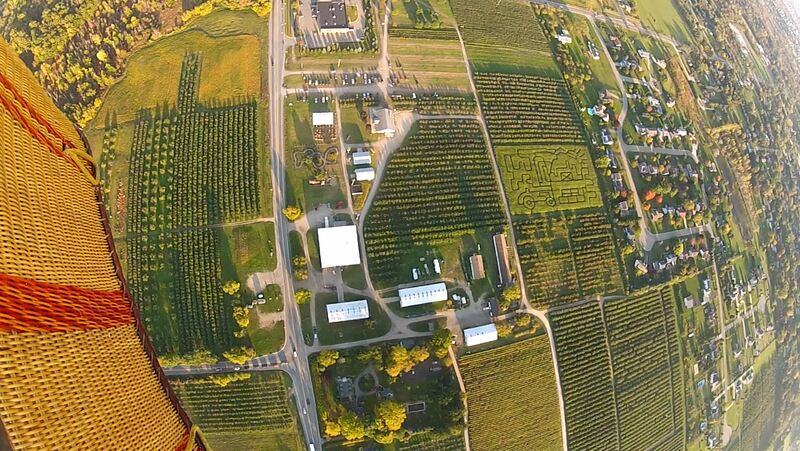 Get a Hot Air Balloon Ride in Michigan! Since the dawn of mankind, humans have always wanted to reach up to the skies. In the 21st century, we can now fly in a multitude of ways, but no method is quite as romantic and evocative as the hot air balloon. Incredibly, the first manned flight was made by the Montgolfier brothers in France, 1783—and now, over two centuries later, you can experience the wonder the Montgolfier brothers felt, too! At Westwind Balloon Company, (based in Plymouth, Michigan) we’re passionate balloonists with more than 34 years of experience. 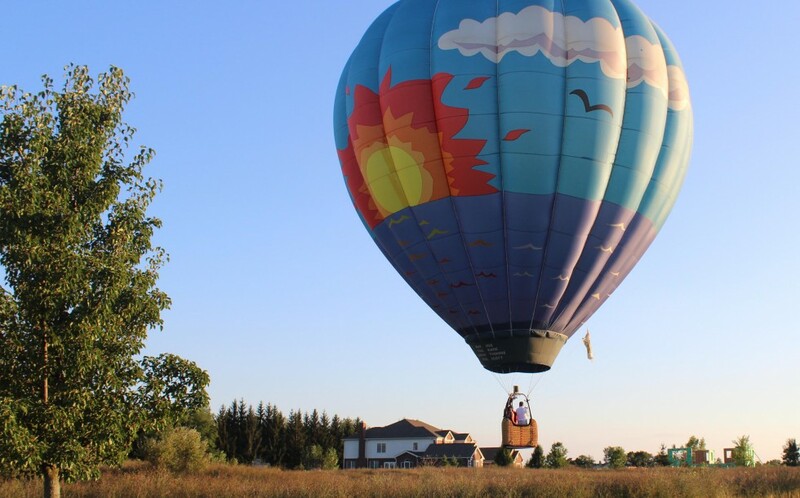 We make all our hot air balloon flights over Michigan a memorable experience—with a lot of help from the scenery around us and the wildlife below us! We have helped couples get engaged while floating through the air—a truly romantic moment as the balloon glides effortlessly over the natural beauty of Kensington Park and Island Lake State Park in Milford and Brighton, Michigan. Whether you’re looking for an engagement flight, a stunning bird’s eye view of Michigan’s natural beauty or simply want to tick off another item on your bucket list, we’re here to help you achieve your dream for just $695 for a 2-person private flight. Are you ready to rise above it all and broaden your horizons? Are you ready to experience the adventure of a lifetime? Join us for a ride over the picturesque countryside of Oakland County, Michigan and look at this great state from above. CLICK HERE to email us the dates you’d like to fly with us or call 734-667-2098 to reserve your flight today! This entry was posted in Adventure and Travel, Bird Watching, Flying, Outdoor Activities and tagged balloon ride, Bucket List Idea, Engagement idea, hot air balloon flight, hot air balloon ride Michigan, Island Lake State Park, Kensington Park, Michigan hot air balloon ride, Proposal Idea. Bookmark the permalink.